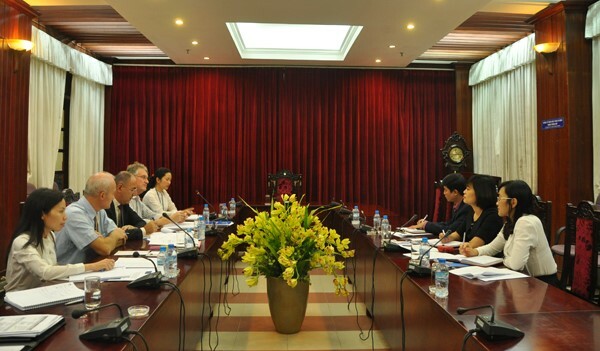 Following the official launch of the project EU-PFMO-Component 1: Capacity building support to the State Audit Office of Vietnam held on June 24th, 2016 in Hanoi, an inception phase preliminary mission was conducted during the period Monday, 31st October to Thursday, 3rd November 2016. The Project Team included Sébastien Fernandes and Charles Seibert, from the French Cour des Comptes ; Robert Reeve, former National Audit Office Auditor and Key Expert of the project as well as Laurent Onguéné, the project Coordinator. Provide an inception phase preliminary Report. Essentially, the approach for the various meetings was the same with the focus being on SAV imparted information and the team addressing questions accordingly. The Team also sought to capture challenges, areas of concern and needs that might form consistent areas of focus for future project delivery. 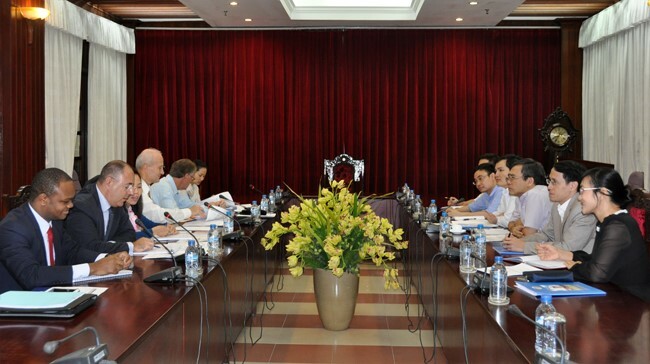 The team met with representatives of: The International Cooperation Department (ICD); Department of Personnel and Organisation; Centre of Science Research and Training; Department of General Affairs; Department of Audit Policy and Quality Control; Centre For Information and Technology as well as the First Regional Audit Office. During the course of the four-day series of meetings, the Team worked closely with SAV colleagues in order to enable a clear way forward for draft inception phase submission. 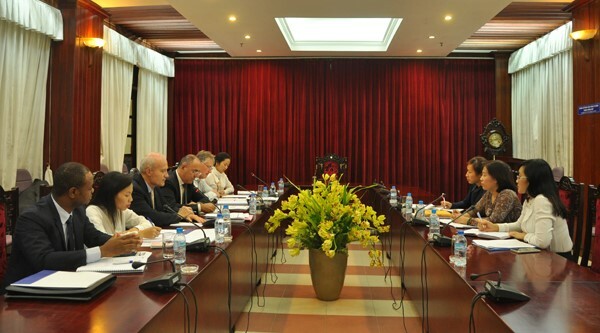 PreviousPrevious post:Happy New Year 2017 !NextNext post:Expertise France and the Delegation of the European Union to Vietnam launched a project to support the State Audit Office of Vietnam. 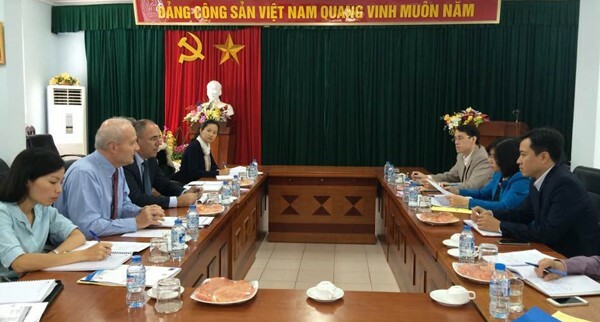 Expertise France organizes a seminar on the theme of the management of health insurance and drugs access, in partnership with Les Entreprises du Medicament (LEEM) and Vietnam Social Security (VSS).